Meet Sarah. 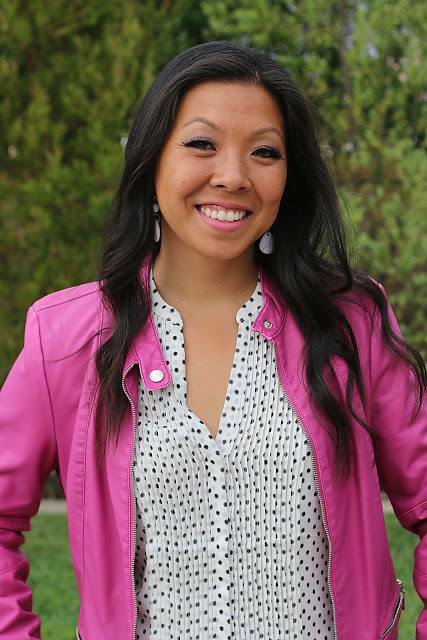 A wife, mom and engineer, Sarah's cheerful nature, positive outlook and willingness to try and engage in all things domestic are showcased on her blog, Foxy's Domestic Side. 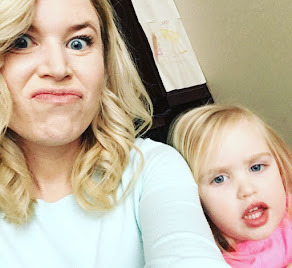 Her children are adorable and I love hearing about their antics so I was excited when Sarah agreed to participate in Mombies Unite and share the consistent methods and heart behind some of her parenting methods! 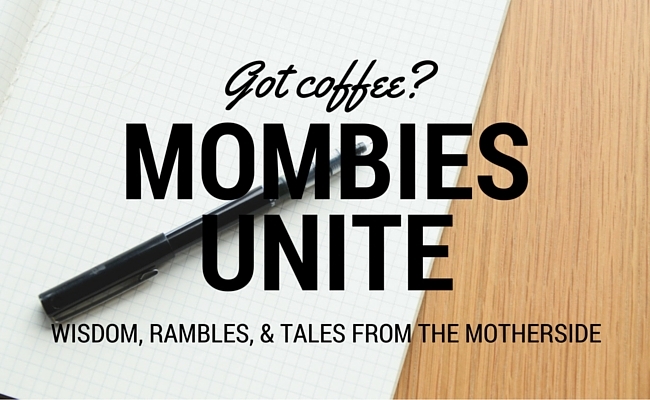 I'm so excited to be a part of this Mombie group. I just love that term and what it means, seriously we can all relate! I knew I wanted to contribute but didn't know exactly what to write about, so many ideas floating around my head... My first thought was how to potty train, since we're knee deep in it right now or how I felt about my youngest birth and how she came in 10 minutes after getting to the hospital, talk about close call! But then I read Kristin's post about how she became a stronger woman after motherhood and that got my juices flowing, so thank you Kristin! Kristin spoke about being shy and how she got easily embarrassed when she was younger and not until she was a mother that it made her let go of what people thought of her. For me it was the same thing: I was super shy when I was younger, heck even when we I met my husband and we would go out to restaurants I would never directly speak to the waiter, I was so shy! Meeting me now you never would have guessed that. Mr. worked with me a lot, getting me to speak up. Discovering I have food allergies helped a lot with my shy-ness. I had to speak up for myself at restaurants or I wouldn't get any of the food I actually want. 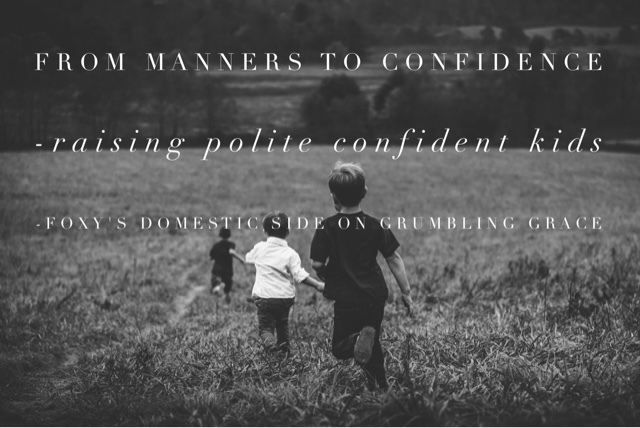 Just like anything in parenting, we are continually on our kids about their manners. I mean from the moment we started handing them things we would hand it to them and say "Say thank you Mama/Daddy", even though they couldn't talk yet. Even now we continue to do this. If either of our kids want anything they know they need to say please. 2. Have the same rules at home and in public. This then translates to how they act at restaurants. Even before anyone else can understand them when the waiter comes to get our order we always make them order and then translate it for the waiter. When they are super young (20 months or so), we would prompt them, since they are in that parroting phase, we would tell them what to say to the waiter (Of course always making them add a 'please' and a 'thank you' when ordering and when drinks or food arrive). 3. Be patient and be consistent as you teach specific skills. We always make our kids look directly in people's eyes when speaking to them, so if they are looking down, we tell them look them in the eyes when talking to them. When someone gives them something and they off offhandedly say thank you, we make them stop, turn around and say thank you to them while looking directly at them. People often remark how polite our children are. Heck when Mini Fox started talking she was so polite that even when crying she would be crying and scream No THANK YOU over and over. Our response to them is always thank you (haha), but in our heads and to each other we say, because we shove pleases and thank yous down their throat. 4. Practice and Repetition Now are Keys to Confidence Later. I think that being able to talk to adults politely helps them with their confidence. Making them look people in the eyes while talking teaches them not to be shy. Letting them order their food teaches them they can do this on their own. Making them flag down a waiter also teaches them confidence, they have just as much power as an adult to get someone's attention. Obviously there is more to it, but this was how we started, simply with teaching them manners. It's never too early to start teaching your children. Even if they can't talk, they are continually learning by our example. 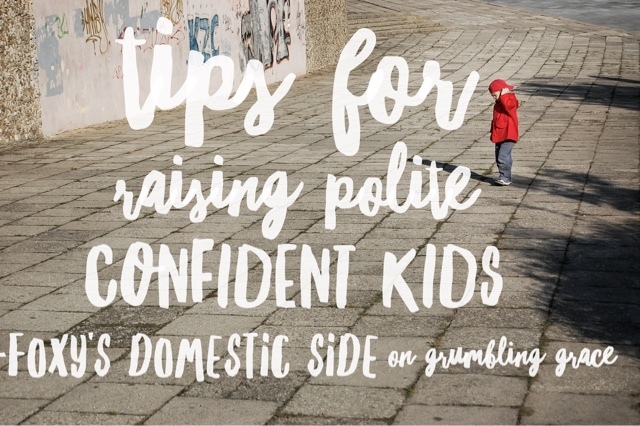 What are your tips to raising polite confident kids? Any favourite strategies you can share? 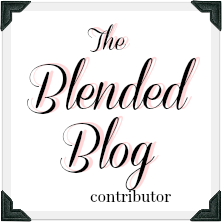 Keep up with Sarah's series' on hairstyles, fashion, marriage and more on Facebook, Pinterest, Instagram, Twitter and of course, on her blog Foxy's Domestic Side!